Over the course of 14 years, the Sea and Cake has quietly established itself as a Chicago institution. I have always maintained a charmed impression about Chicago. I've only been to the city a couple of times and have hardly explored its nooks and crannies, but I am completely enamored of the place. It is the beacon of the Midwest -- the largest city between the coastlines, offering a pleasant alternative between the congested endurance test of New York and the laidback plasticity of Los Angeles. It's a large metropolis colored with Midwestern charm. And she hit the nail on the head. Though you can’t specifically characterize the city as easily as New York or LA, Chicagoans aren’t concerned with winning anything (with the exception of their beloved Cubs and the pennant), but are more focused on soaking the most joy out of each day. The city embodies a composite of so many different things that there is always something new to discover. The fans keep piling in to Wrigley Field season after season of disappointment because they possess an unbridled optimism that things aren’t perfect, but there is always the hope that they will get better. And the sound of few bands exemplify this city’s persona more so than the Sea and Cake. Since its inception in 1993, the Sea and Cake has become a Chicago institution, blending its trademark pop-rock sound with a heavy jazz influence to produce something that refuses to be placed in only one basket, yet at the same time is made its very own. Whether it's the distinct riches of lead singer Sam Prekop’s voice or the funky guitar noodling of Archer Prewitt, the band has appealed to a wide demographic and through the years developed a strong fan base. On its previous two records, the band began to explore electronic territories on their sonic maps and expand upon its sound. 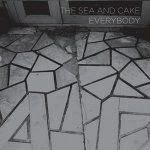 A few months back, the Sea and Cake released its seventh album -- and first in four years -- Everybody on their longtime label, Thrill Jockey. I recently had the opportunity to chat with Sam Prekop about the band and his thoughts on the new album. Prekop is immediately enthusiastic, saying, “The new material lends itself pretty well to being played live, as compared to One Bedroom [the Sea and Cake's sixth album, released in 2004], where a lot of the songs were much trickier to get across because they had so many extra overdubs and keyboards and all that kind of stuff. So the new stuff works out well and we are playing it as a four piece, which is kind of a new thing for us, because usually we have someone extra to play keyboard parts and stuff. In my opinion, it is better, this new sort of stripped-down live outfit is working. Leading up the release of the album in May, Prekop was quoted as saying that Everybody was “the most rootsey rock album that we have ever made.” He explains that this album’s direction was both a conscious and organic process for the band. The band shacked up at Key Hole Studios in Michigan to record the album in a boot camp style atmosphere where its sole focus could be on the recording process. “I think that we felt that we had some time constraints, like we wanted to get the record out at a certain point and it’s a little bit quicker to approach it this way. I mean, we were feeling that this was the right direction to take it anyways. Basically, it was just hoping and wanting to make a more immediate and direct record, less decorative with extra sounds and more to the point, but still sounding like the Sea and Cake. “We don’t usually have a problem getting down towards work. I think the main benefit was that there was no way any of us could go home or anything like that. The studio was out in the middle of nowhere. It made for a sort of nice communal situation, which we are not often in. It sort of lent itself to just getting as much work done in the smallest amount of time possible." Another distinct difference with this Sea and Cake album compared to previous records took place behind the scenes. Sea and Cake drummer John McEntire had produced all of the band’s previous efforts, but the band decided to work with Brian Paulson for Everybody. Besides having an objective ear in the recording process, the band was also afforded a full-time drummer for the first time, as McEntire was able to focus on his drumming duties rather than splitting time with the soundboards. Even though it has been four years since the group’s last album, the members of the band have hardly been lounging on their couches. Instead, each of the four members has been extremely prolific in their own right. McEntire plays drums in another famous Chicago band, Tortoise. The other three members have each put out solo albums, in addition to Prewitt’s work as a graphic artist for Marvel Comics and Prekop’s upcoming book of photography. And their entire history together has been cemented under the same banner of the Thrill Jockey family. “I feel like we are in a pretty rare situation, where mainly the problem is that most bands don’t have is it as good as we do,” says Prekop. “I mean, we really are left to our own design basically. And I think that has been extremely important to us being able to function for so long. Any outside pressure we get is good -- ‘Shouldn’t you guys make a new record now?’-- but ultimately we are left to do what we want, and I think we realized that early on and that is why we never had any ambitions to go anywhere else. When we realized early that a major label situation would never work for us at all. I think we just lucked out by realizing that at the right junction.